" My fellow Tűzharcosok! " A leader of the Tűzharcos Szövetség (National Front-Line Fighters’ Association) talks from his balcony to people gathered outside of his house. 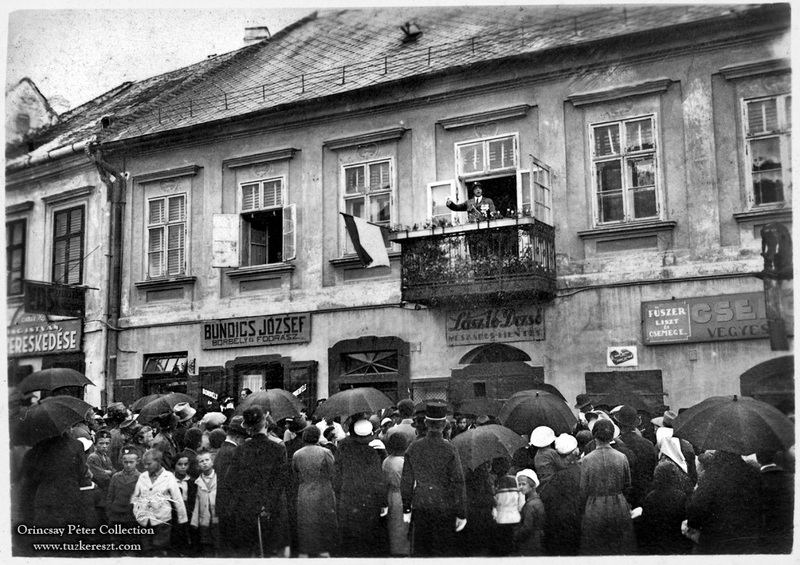 Nice early 1920th photograph from a series from a Tűzharcos Szövetség heritage.